The title of this post couldn't be more true; this coat is so warm and cosy- it's like a sleeping bag! Last night and today have been so awful outside, I shouldn't have really left the house, but I needed to get a few things, so I had to drag myself out of my electric blanket heated bed and head on into town! 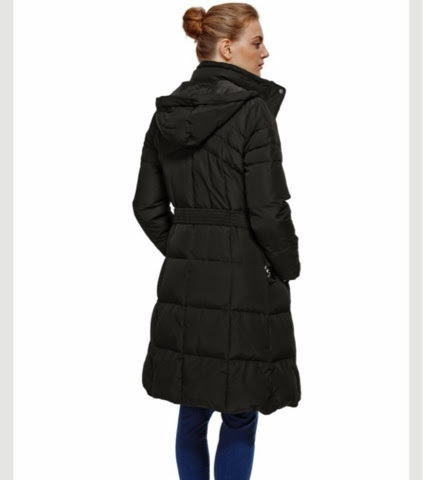 What better way to stay warm though with this gorgeous fitted coat. I needed a new coat for New York that was actually warm, rather than just looking nice, I tried a few different ones on and this one came up best for me. Two things I wanted was it had to be black (because it goes with everything) and it needed to be long. The length was a big part for me, because I'm so tall I wanted something that came to around my knee rather than stopping just after my bum! 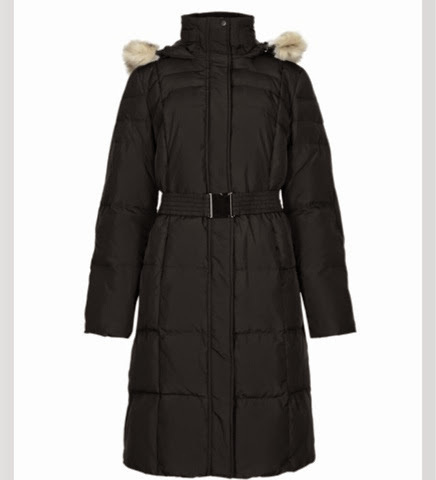 Another thing I wanted was I didn't want to look like penguin either, some coats are so heavy and out of shape that they don't flatter you at all- the belt on this one helps that so much I think, making it look like you still have a shape underneath all the layers you're wearing! I love the fur lining of the coat it makes it more cosy looking, but the fur on the hood is detachable, so some days when you're wearing a hat that doesn't match the fur, just take it off! The fleecy inside, fleecy lined pockets and hood keep you super warm, along with the millions of duck and down feathers it's made of- oh and it's waterproof!! 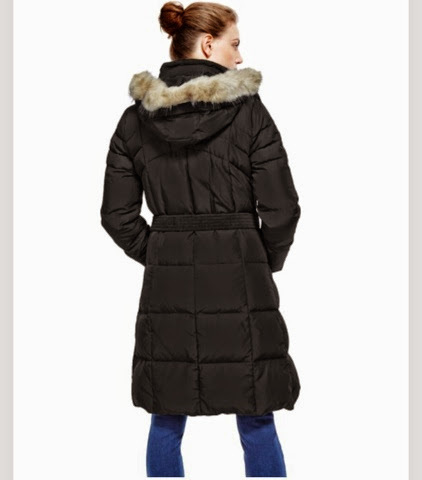 :) I really couldn't love this coat anymore- If anyone else wants to be snug as a bug definitely try out this coat, there's a few different colours, so if you aren't a black kinda girl you'll still find one you like. Ps it was so bad outside I couldn't get photos took, but I'm wearing the same size as the model and I am 2inchs smaller than her too!